Free medication has been delayed for more than 5 years and left 10 million South Africans with chronic problems. An estimated 5.1 million South Africans, mainly in settings of rural poverty, are in need of treatment for urogenital schistosomiasis. In spite of severe morbidity and mortality, schistosomiasis remains a neglected disease with an important gender impact. 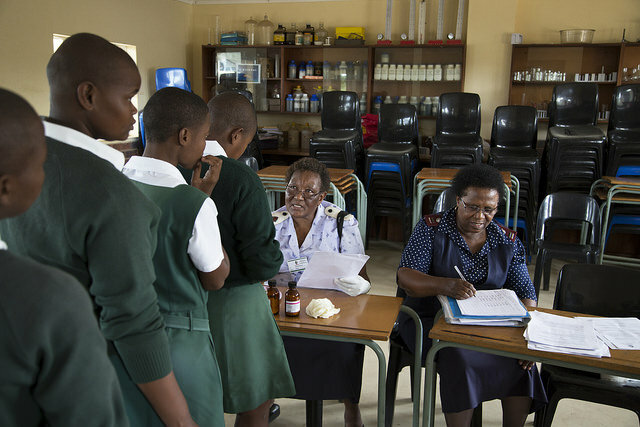 The World Health Organization recommends regular mass treatment of all school-aged children, and this has also been a South African policy since 2008. In areas endemic for schistosomiasis all those who have been exposed to fresh water should be treated with a single dose of praziquantel, the drug of choice for 30 years. If administered in childhood, praziquantel has been proven to effectively prevent schistosomiasis related disease, as well as reduce the socio-economic impact of the disease. Moreover, preventing urogenital schistosomiasis may also reduce HIV transmission. Generic praziquantel has been on the market for almost 30 years and is used extensively all over the world. It is also available as a donation to endemic areas such as South Africa. However, the Medicines Control Council in South Africa requires that medical companies that manufacture generic praziquantel spend money and time going through an elaborate, custom-designed scrutiny process, but WHO has approved the use so this is unnecessary. We estimate that the delay of the treatment from year 2000 to date has left more than 10 million people with chronic problems. South Africa should allow treatment of their susceptible populations. Even though mass treatment has yet to be provided, the government has started the important task of identifying high risk areas in South Africa. The high risk areas for Bilharzia are KwaZulu-Natal, Mpumalanga, Limpopo and the Eastern Cape. However more research needs to be undertaken across other parts of the country to find out about Bilharzia prevalence. The mapping of Bilharzia is a crucial step for the process of controlling the disease in South Africa. The work will be done by the Communicable Disease Control Department in South Africa, lead by Director Tsakani Furumele.